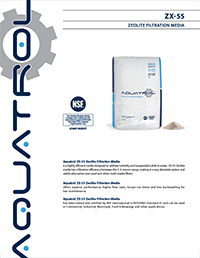 is highly efficient media designed to address turbidity and suspended solids in water. 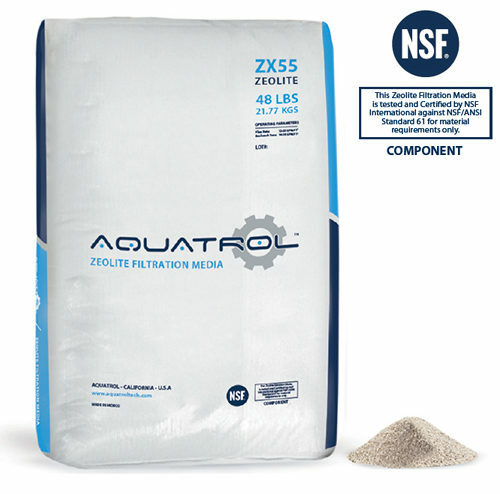 ZX-55 Zeolite media has a filtration efficiency between the 3-5 micron range, making it a very desirable option and viable alternative over sand and other multi-media filters. offers superior performance, higher flow rates, longer run-times and less backwashing for less maintenance. has been tested and certified by NSF International to NSF/ANSI Standard 61 and can be used in Commercial, Industrial, Municipal, Food & Beverage and other applications. © Copyright 2019 Hydronix Water Technology. All Rights Reserved.